META-Health Introductory Talk - META-Health Academy. 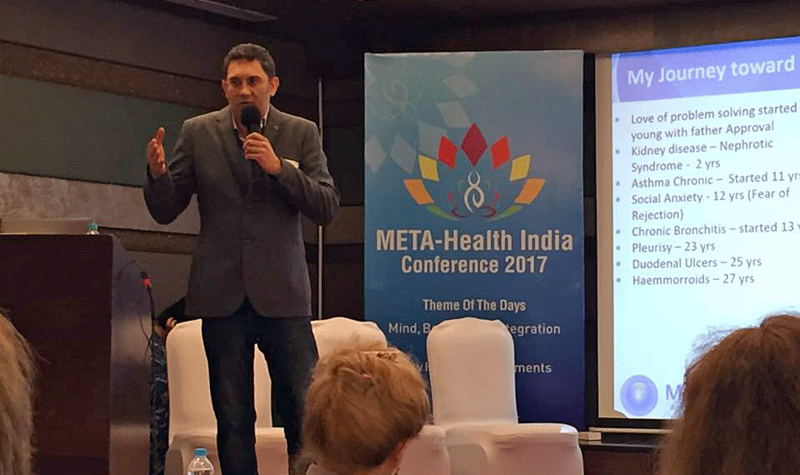 META-Health Introductory Talk - META-Health Academy. Beyond Mind-body Medicine, Energy Medicine and personal development. Are you ready to attend this live Seminar and start the journey of including and transceding your existing approaches to health, personal and even spiritual development? Are you ready to go beyond treating symptoms and address the unconscious (stressors) root cause of health symptoms? Are you interested in the mind-body connection and want a scientific explanation? Have you heard that 95% of all illness is caused by stress and want to know how this works? Are you concerned about your health and would like to learn how you can tap into your body's natural self-healing capacity? Do you want to learn how you can increase balance in your life and improve your overall health and wellness? Do you want to understand your own health issues, or help a relative or friend with a health issue, but don't know where to begin? Are you a health professional, therapist, coach or counsellor looking for a deeper understanding of your clients' core issues? NB Terms and conditions apply. You must attend the live talk to become eligable for the special aniversary offer. Totally fascinating and gripping seminar - visually and verbally. "It was really interesting and thought-provoking. 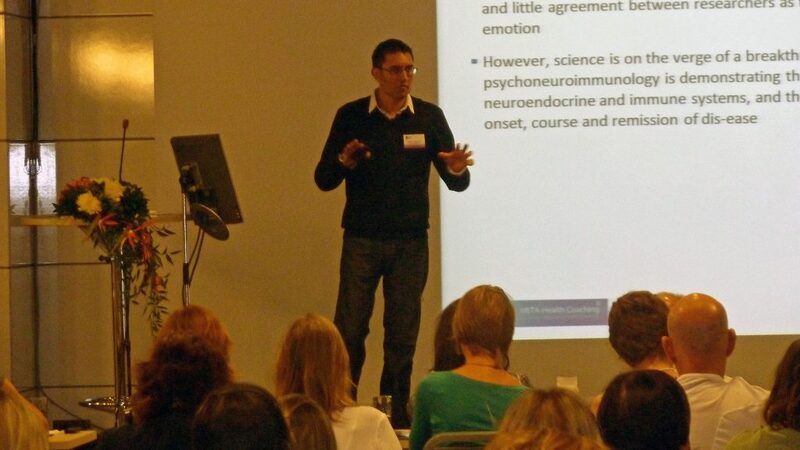 Great delivery and energy, very informative and clear"
"The seminar confirmed my interest in META-Health, and I wish I had known about it years ago. I feel I am too long in the tooth to go the whole hog, but I hope many other younger people will do so, and maybe the NHS will sit up and listen, and learn to use it as a diagnostic tool, making medicine more holistic. There was good team work between Jo and Rob, making it easy to listen and learn"
Very informative, interesting new way of looking at the cause of diseases. Very thought provoking! 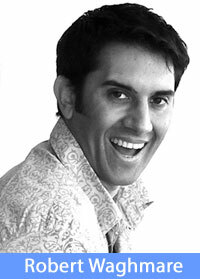 Robert Waghmare was one the first IMMA-certified META-Medicine Master Trainers in the world. Robert is the founder principal trainer of the META-Health Academy. They are on Executive Board for the International META-Medicine Association (IMMA), and is one of the creators as well as leading developer in the entire field of META-Health. Robert has introduced META-Health to several thousand people over the last decade. He is warm, friendly and approachable, and loves to share his passion, depth of understanding and embodiment advanced Integrative health and personal development with everyone who shows an interest! Are you on a Self healing or Spiritual development journey? Are you curious to find out what the unconscious cause of your own or somebody elses symptoms are? Are you on a Spiritual development Journey and feel that somehow your body is hindering your growth and development? How would you feel if you were able to interpret your body's symptoms as a precise and intelligent form feedback about a source of stess in your life? Would you like to know the relationships how Perception, psyche, brain, specific organ symptoms and your social and physical environement all play a role in your health, do you wish for a more comprehensive explanation? Are you Health or Personal Devlopment professional? 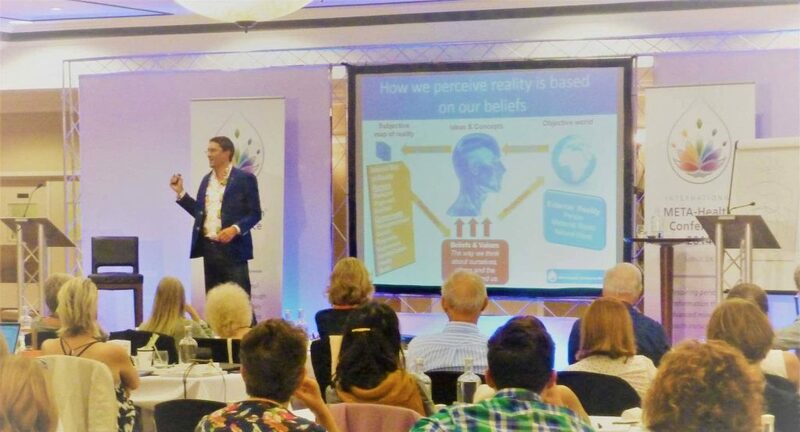 Are you working with traumatic memories, beliefs and values using psychotherapy, CBT, NLP, EFT, EMDR and wonder if there is a precise method for organising which beliefs and inner conflicts relate to which health issues. Could knowing that speed up, clarify and improve your results? Time: 7.15pm - 10.15pm. Please arrive from 7pm for a 7.15pm start. We’ve been speaking on, training and developing META-Health as field, system and profession for over a decade. As such we’ve had the benefit of having run 100’s of successful talks, seminars and trainings. As such we personally guarantee your satisifaction with our talk. But if you feel within the first hour that its not for you please just inform one of our staff and we’ll be happy to refund you.